This brilliant fish shaped cat bowl combines flair with functionality, the eye catching Fish Bowl from Hing Designs is available in a range of colours to compliment any home. 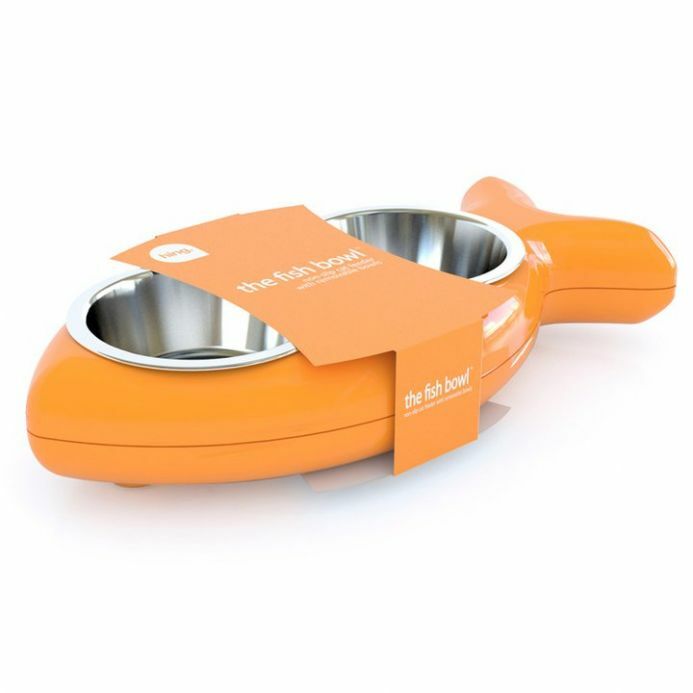 British designed and manufactured, these dual feeders have two removable stainless steel bowls, which are dishwasher safe, anti-slip rubber feet, made form durable PVC plastic and are easy to wipe clean. The Fish Bowl is a unique, dining 'table' for your cat. 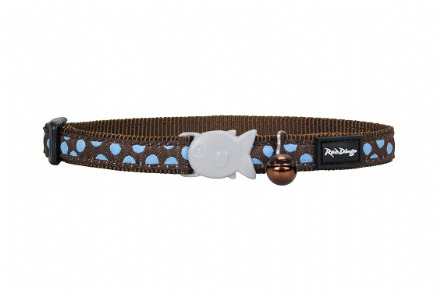 Super stylish and shaped like a fish, it has feeding bowls built in to either end. You can provide your cat with food and water simultaneously; the non-slip feature means no more spills. It is very easy to clean with removable stainless steel bowls. Due to its stylish colour and fun but fashionable appearance, the Bone Bowl will looks great with any style of home decor.